If you’re looking for something simple yet unique, you’ll certainly love this. The hour sits at the centre of the screen and the minute count sits on a small circle which revolves around the orbit surrounding the hour like a minute hand on an analog watch. Just in case you don’t like the default color of the background or the small circle – yes, you have the option to change that. 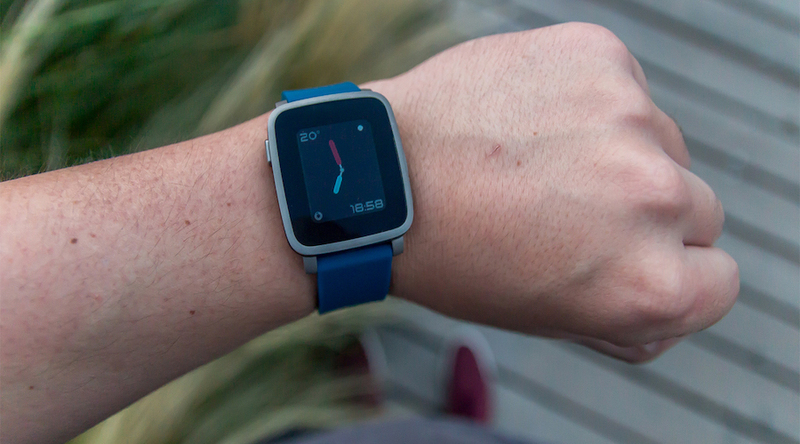 It’s clean, it’s elegant, and well, it’s pebblestuff approved. 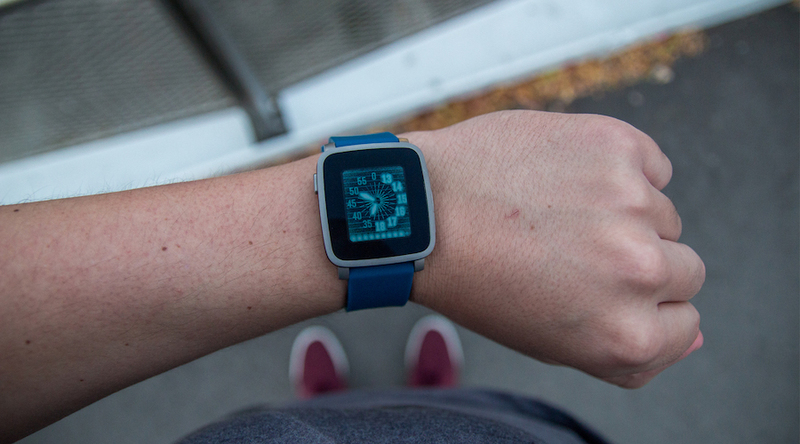 Straight is yet another minimal watchface that we absolutely love. It’s got all the essentials like the weather, battery meter, date, etc. The amout of customizability was what impressed us the most. 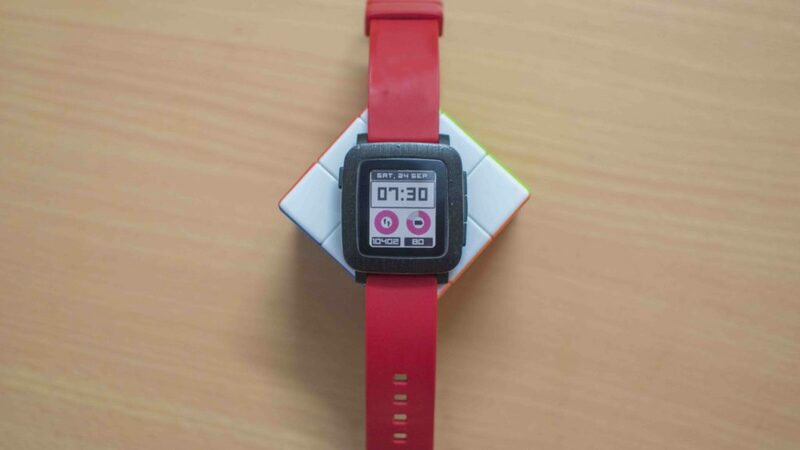 What you see in the picture below is the ‘Original design’ with a black-red theme. There are 50 + design and theme options available, so we’re pretty sure you’ll find one of your liking. There’s even a ‘Minimalism Lover’ option if you’re into that sort of thing. This one doesn’t have much going on with it as there are zero customization options available. But well, it’s certainly an interesting one. It consists of an analog interface where the numbers glow as the hours pass by. Also, there is a meter at the bottom that glows according to the status of the battery. 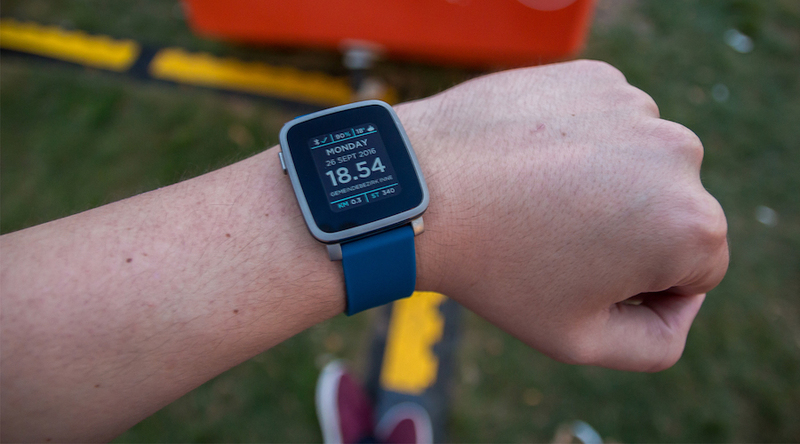 Are you concerned about both yours and your Pebble’s health? Dashboard is definitely the one for you, as it shows your steps and battery level in two big pie charts just below the time stamp. If you dig into its settings, you can change things like the step goal, colour of the charts, background color, and spice things up. We really like how you can change the color accent of the charts, allowing to bring out some personality into it and hope you’ll like it too. With the ability to change colors of both the background and the minute/hour hands, you can make Digiverge look just the way you want, with your favorite color combinations. 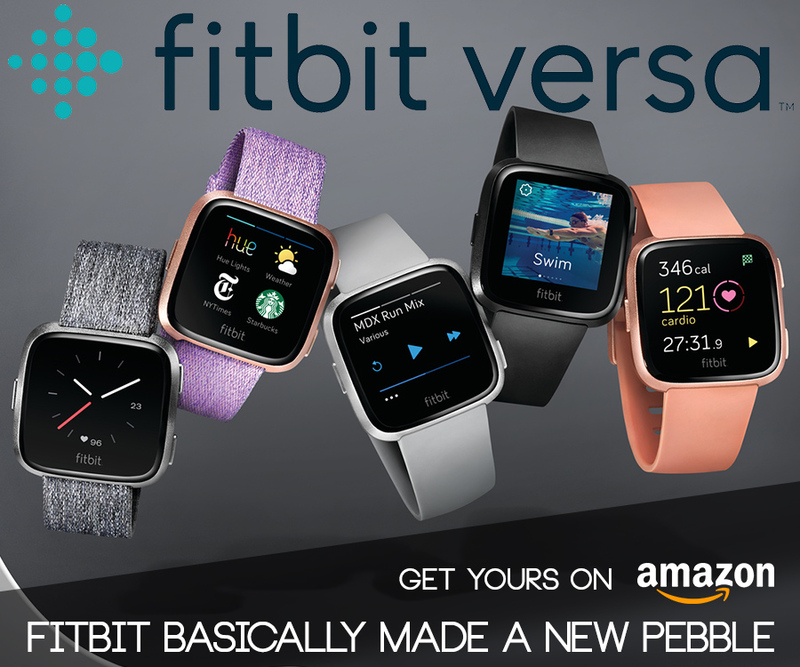 Add a matching strap, and you’re good to go. Are any of these on your list of favorites? 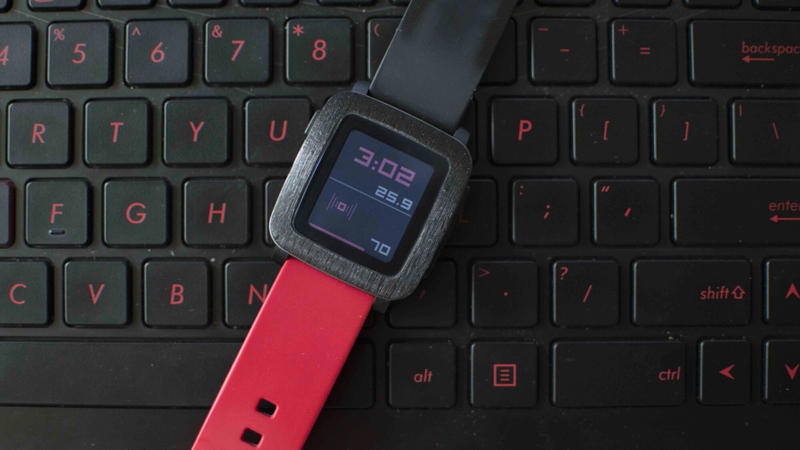 Or did we miss the watchface that you love the most? Let us know in the comment below! 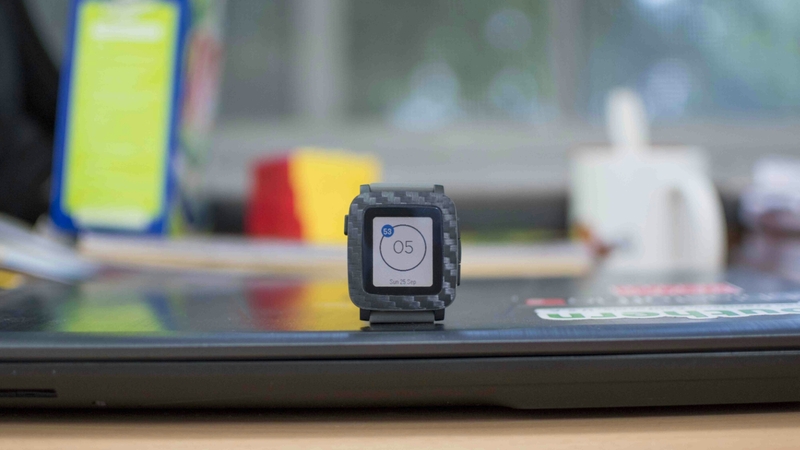 If you liked our collection, be sure to check out our previous set of watchfaces for both the Pebble Time/Steel and the Pebble Time Round. 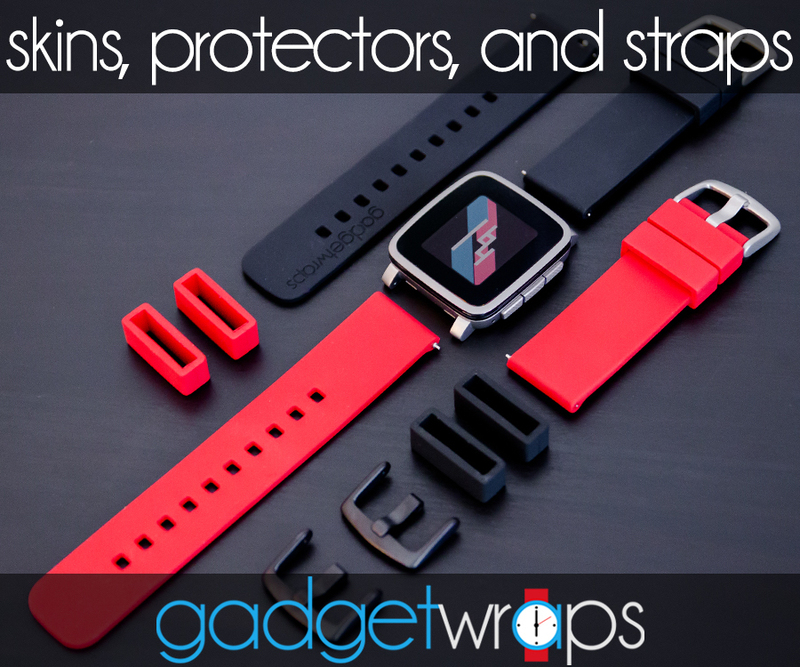 The skins and straps featured in this article are available at GadgetWraps. Ooh, I like that VFDA! I’m a fan of business time. Use it as my daily driver now. Yes, Business Time. I’ve had two Pebbles, and BT is my go-to face. I keep trying different ones to change things up, and I keep coming back. It’s neat, clean, allows good basic customization of colors and displayed information, and has all the stuff I want to see on my watch that’s easy to read quickly at a glance. Some might find the data around the edges a little too small to read, but it works for me.